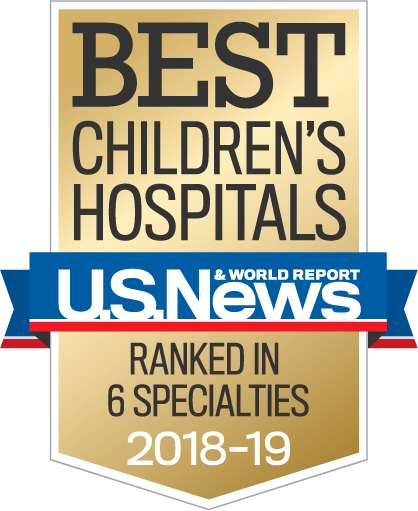 Ranked in the top-50 pediatric hospitals in the country in a variety of specialties by U.S. News & World Report, University of Florida physicians at UF Health Shands Children’s Hospital provide the full spectrum of pediatric specialty services. UF Health Shands Children’s Hospital is a hospital within a hospital on the UF Health Shands campus and provides care in more than 20 pediatric specialties. 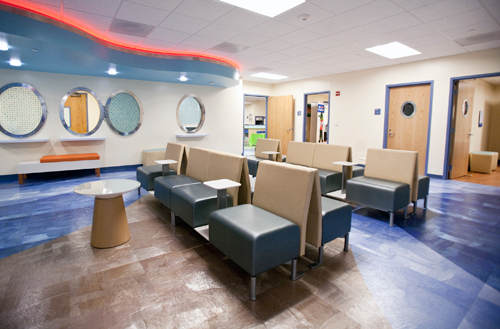 It is also home to the UF Health Shands Pediatric E.R. – the community’s first emergency department devoted to caring for children who are acutely ill or injured. UF Health Shands Children’s Hospital provides care for the children of our community and the state of Florida and is a major destination center for pediatric patients from all over the United States and overseas who require specialized attention for complex medical problems. 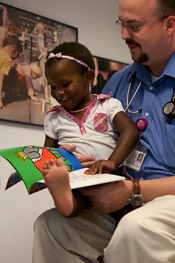 UF Health Shands Children’s Hospital represents the only quaternary-care academic pediatric center in North Florida. The children’s hospital has 208 beds, including fully-equipped pediatric and neonatal intensive care units. UF Health Shands Children’s Hospital is part of the Children's Miracle Network's alliance of premier hospitals for children. 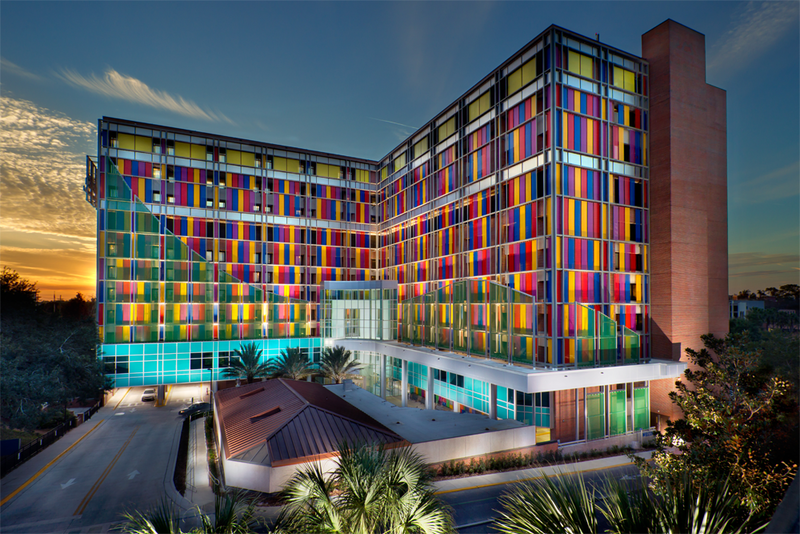 UF Health Shands Children’s Hospital is also a member of the Children’s Hospital Association, formerly known as the National Association of Children’s Hospitals and Related Institutions. The Children’s Hospital Association advances child health through innovation in the quality, cost and delivery of care. Representing 223 children’s hospitals, the Association is the voice of children’s hospitals nationally. It champions public policies that enable hospitals to better serve children and is the premier resource for pediatric data and analytics, driving improved clinical and operational performance of member hospitals. UF Health Shands Pediatric E.R. and Pediatrics After Hours services provide families with a convenient, one-stop children’s health center for urgent after-hours and emergency care. The co-location of these services allows us to better use existing resources, expand capacity and efficiency, and improve our focus on patient safety and outstanding quality care. UF Health Pediatrics After Hours is a collaborative effort with community pediatricians and UF Health pediatricians treating children with urgent primary care needs. University of Florida pediatric physicians offer specialty care in a variety of clinical settings in Gainesville. Visit our locations page to find a pediatric specialty clinic near you. 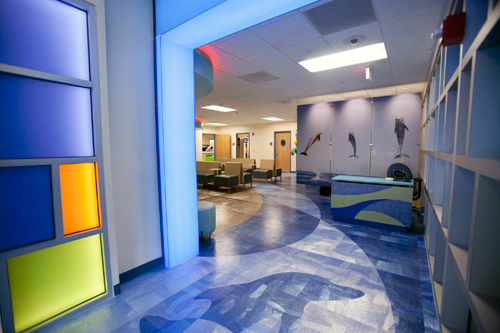 From colorful playrooms to parent support and resources, the Child Life Program at UF Health Shands Children’s Hospital is here for pediatric patients of all ages and their families. UF Health Shands social workers offer a variety of services to pediatric patients and their families. Counseling - available to discuss concerns, provide support and explore solutions. Discharge planning and referrals to community agencies. Social workers are available to all pediatric patients, and work intensively in many highly specialized medical areas, such as organ transplant teams, pediatric oncology, pediatric intensive care and many others. We work as part of the pediatric patient's healthcare team, with medical staff, nurses, rehabilitation specialists, case managers, nutritionists, Child Life and other professionals. We are also available in areas where both adults and children are treated. 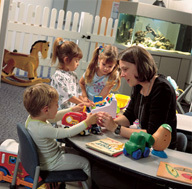 We have a total of 31 master's level social workers, the majority of whom are Florida licensed clinical social workers. Wireless access is available for those patients and families that bring their laptops. Visit FloridaHealthFinder.gov, where the Agency for Health Care Administration publishes quality and performance information about Florida's health care facilities. To obtain a copy of your medical records from UF Health Shands Children’s Hospital, please contact 352-733-0111.